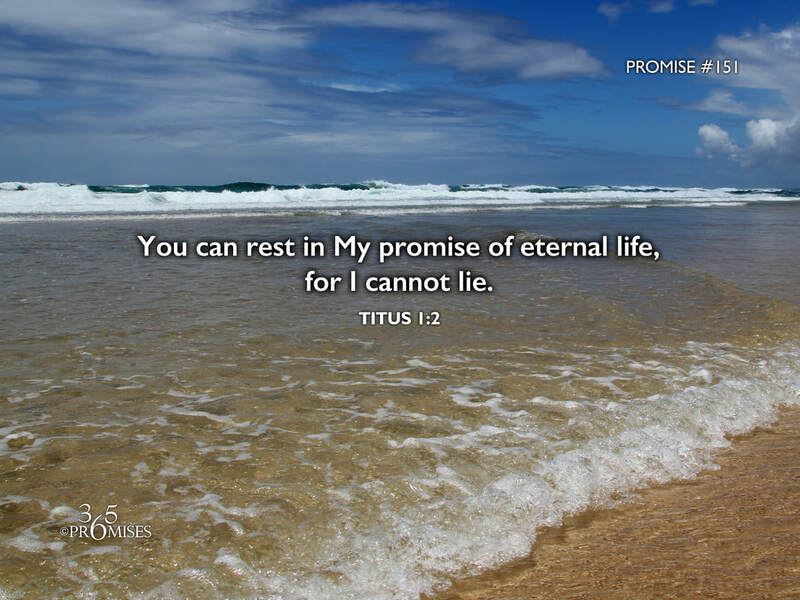 Paul wrote this message to Titus two thousand years ago and two thousand years later it is still as relevant as it was when he first penned the words... We can all hope in the promise of eternal life that God promised before the world began because God cannot lie. We can rest in this rock solid truth whether our emotions agree with it or not because the promise is based on God's faithfulness, not ours! I don't know about you, but for me, it is encouraging to know that my eternal destiny is secure not because of my own self-effort, but because I have a Father who is unwavering in His commitment to keep His promises. Take a deep breath and relax. You are loved beyond imagination and the One who created you has prepared an eternal place for you to live forever in His presence. May hope rise up in all our hearts today as we reflect on this amazing promise.